You can easily increase your visibility on our partner sites by adding more details about your business in Get Found. The more detailed your business profile, the more likely your business will show up higher in search results on third-party sites. Filling in as many applicable categories as possible helps get your business out front when customers search for one like yours. We'll send all this information to our extensive partner network so your customers can learn more about your business. 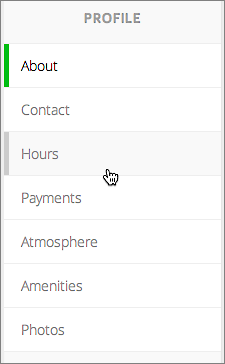 Click Profile in the left-hand toolbar. 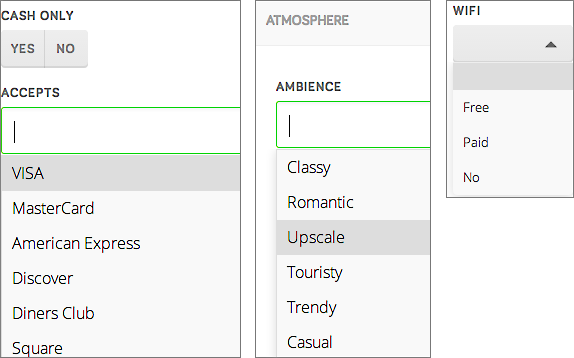 Scroll down the Profile page to fill in various fields, or click the right-hand Profile menu to jump to a particular section of the page. 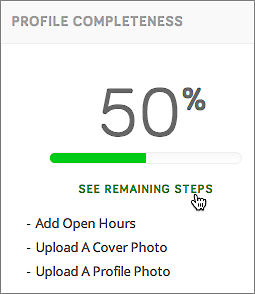 Once you're done, click Save & Publish at the top-left of the page to apply your profile changes. A green banner will confirm the save and note that it can take a week to month for all Get Found's partner sites to display your updated profile. Note: Wonder if your profile could be better? Your Get Found Home page also displays a reminder about other details to add to your profile. Note: Want to add a menu or price list to your profile? See Creating Get Found Menu or Price List.